What Does Greater Stability Mean? 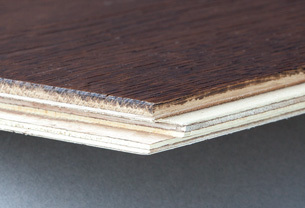 The instability of solid hardwood is usually moisture or heat related. Under adverse conditions, solid hardwood floors can warp, cup, swell or split apart. Engineered hardwood flooring overcomes these problems by constructing a multiple-ply plank which counteracts twisting and remains flat and intact. This makes engineered hardwood flooring a better choice for installation over radiant heat sources, over concrete whether it’s below grade or above, and in rainy climates.